The Harmonica Company - Terms & Conditions - The legal bit! Prices are listed in GB Pounds Sterling, USA Dollar or Euros depending on your location. The price includes any sales taxes or VAT where applicable. Prices are subject to change without notice at our discretion. 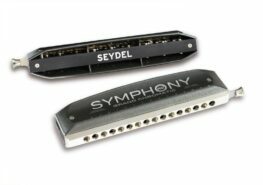 Harmonicas are subject to wear and tear, and often certain players can ‘blow out’ the harmonica. Additionally, over time they can lose their pitch and tune, however this often depends on the players. We will not deem these circumstances as a manufacturing defect or fault. The Harmonica Company reserve the right to obtain a second opinion from the supplier or manufacturer, regarding a dispute over a manufacturing defect. The Harmonica Company offer a 30-day money back guarantee if you change your mind, however due to the nature of our products, we cannot offer a refund if the manufacturers box has been opened. This is primarily due to potential hygiene issues. “The rights conferred by this Part [i.e. cancellation and refund rights] cease to be available in the following circumstances… in the case of a contract for the supply of sealed goods which are not suitable for return due to health protection or hygiene reasons, if they become unsealed after delivery”. If you order a product on backorder, then you agree to a longer delivery lead time. The delivery method you select will be the delivery method we use once we receive the item from the manufacturer. Please note, some of our products are made to order and the item description will give details of this. 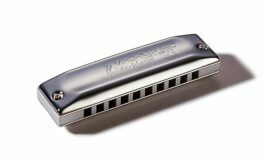 All content on the site is the property of The Harmonica Company. The copying and reproduction of text or images on the site is prohibited without prior permission.